Seagrove with Natural Shade by Thumprints features a cast zinc base with a distressed white finish and a natural linen hardback shade. Thumprints is a specialty lamp-making company that strives to create high quality, unique and artistic lighting. Inspired by creativity and individuality, each Thumprints table lamp or floor lamp is designed by young Arkansas artist Allison West. 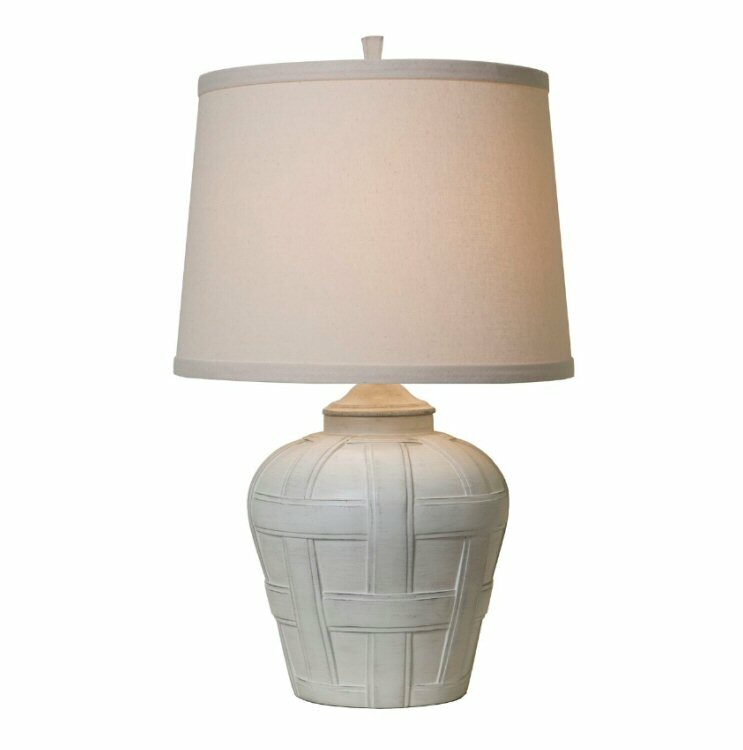 "Lamps are an essential part of most every room," said West. "They can simply serve the functional purpose of lighting, or become fun and exciting accessories. When designing lighting for the line, my goal is to create pieces of functional art, which illuminate a room in many ways. I pay great attention to detail and focus on the artistic qualities of the designs, blending textures, shapes, colors and materials to form the unusual. All Thumprints lamps are individually hand-crafted. Thus, no two are exactly alike, making each as distinctive and personal as your thumbprint."